Instrument-making in Mirecourt, where I was awarded my Craft Diploma in 2003. In January 2009, I took over the Delfour workshop and settled in Toulouse. 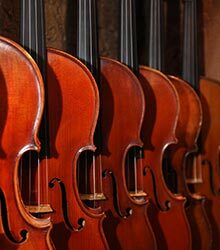 Modern and baroque violins, violas and cellos are hand-made, using techniques that have been employed since the 16th Century. The woods that I use are spruce, maple, poplar and pearwood. These are selected and dried naturally for several years. 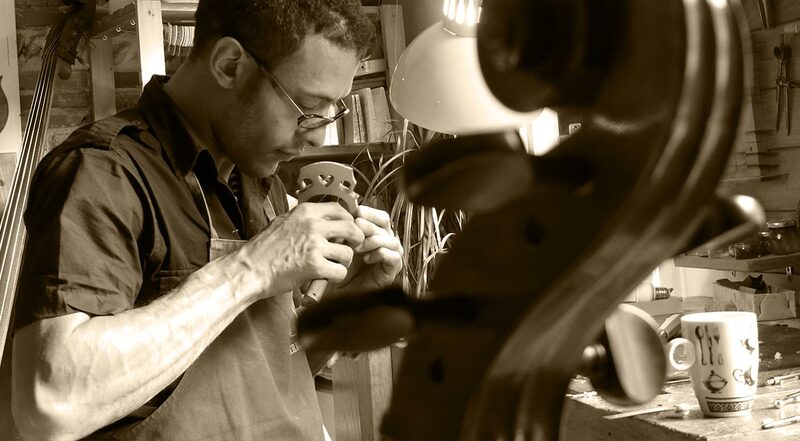 I take my inspiration from the great 16th, 17th and 18th Century Master instrument-makers of Cremona, Brescia and Venice. - Retrouvez moi, accompagné de quelques altos au congrès Viola's, au CRR de Paris du 12 au 14 avril 2019. - Exposition EKHO#3, à Bruxelles du 8 au 11 mai, à l'occasion du concours Reine Elisabeth. - Archet de violon fait par Prosper COLAS, vers 1900. - Violon italien anonyme fait vers 1900. - Alto fait par Hippolyte Chrétien SILVESTRE, en 1878. - Archet de violon fait par Jean-Luc TAUZIEDE. Ecaille et or. -Archet d' alto fait par Jean-Luc TAUZIEDE. Ebène et or. 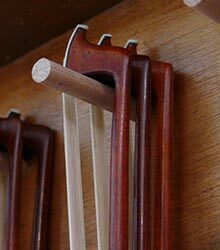 -Archet de violon fait dans l'atelier de Pierre GUILLAUME. Modèle Sakura. Ebène et or. Discover all the instruments that I propose for sale. The violins, violas and cellos are entirely revised by me. 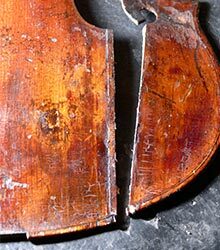 It's vital to repair and restore instruments to ensure that this great heritage is perpetuated. Annual “service” may help you avoid the unpleasant surprise of an expensive repair. 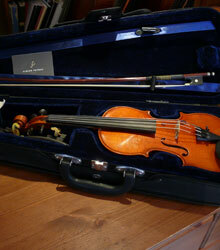 I can offer a wide range of contemporary and old instruments, from study to superior. All are assembled at the workshop, with a bridge, soundpost and high-quality strings.